Which is your favorite beach Mural? 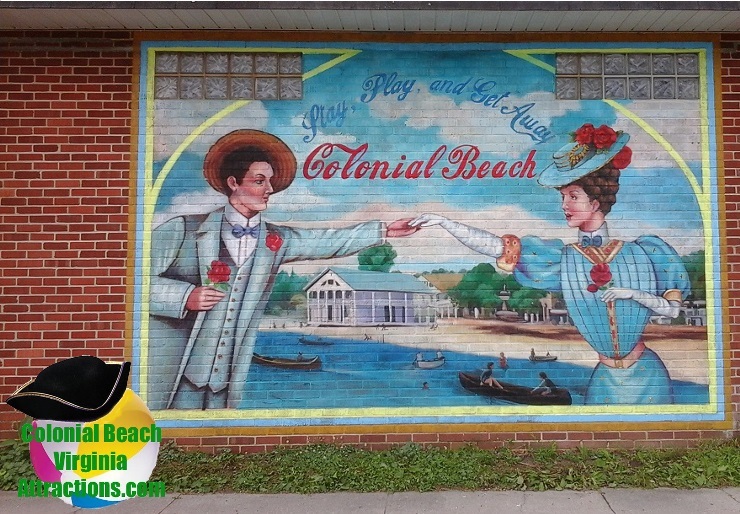 There's a beach mural on many different buildings in town now, and more are being added! These pretty paintings are really sprucing up the area. Which is your favorite? 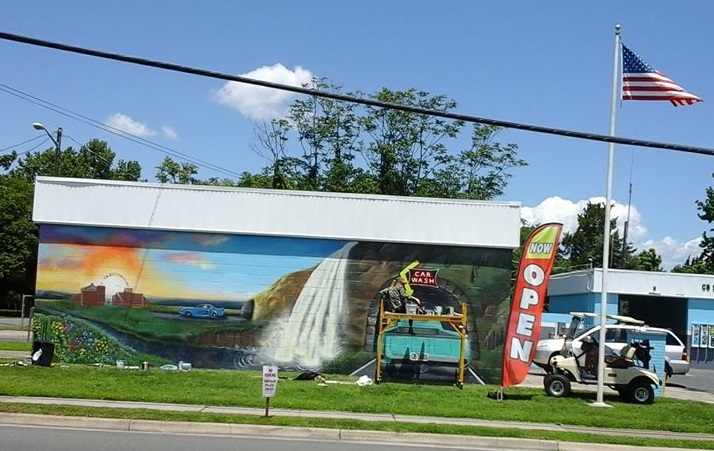 Other paintings are by Montross Mural Studio's Melanie Stimmell Van Latum and Lyndsey Anne Morel. This particular work is a recreation of a historic postcard featuring a pier and boat scene, with Captain Clarence E. Jenkins on the pier and buildings on the boardwalk in the background. The buildings were not red in real life, just on the postcard the artwork is based on. 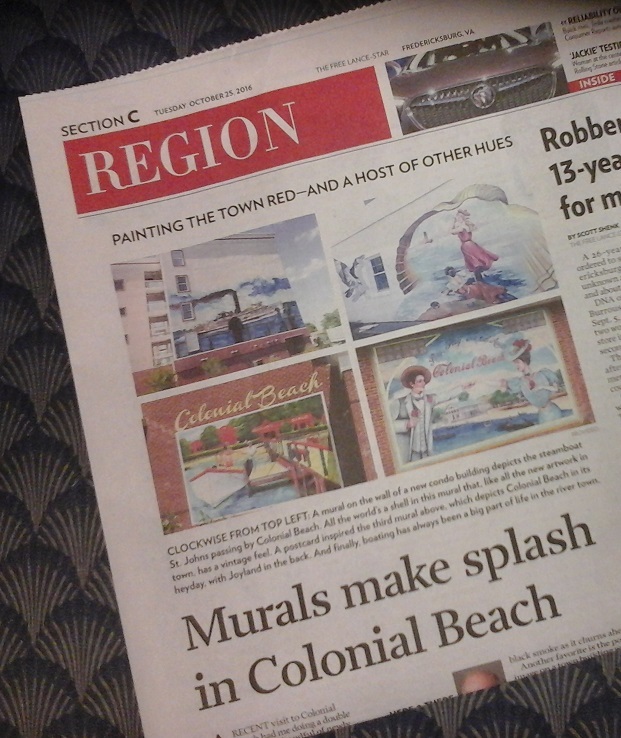 The drawing was done in the Spring of 2012 by resident Robin Schick and with help from passers-by on the Boardwalk, the Colonial Beach Artist Guild, Rankin's True Value, Papa John's Pizza, Colonial Beach Yacht Center, Thor Gallery, Wide River Gallery, and The Bonus Room, the beach mural came to life and is a colorful addition to the waterfront area. 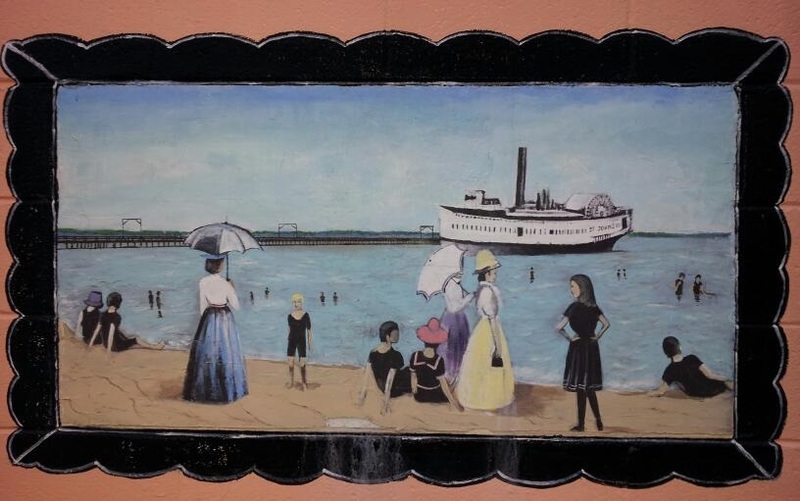 While the inspiration piece depicts people enjoying the day in Victorian dresses, this beach mural shows swimsuits. Bonnets became sunhats, canes turned into fishing poles and parasols are beach umbrellas. While two dogs appear in the painting, please note that per Town Code, dogs are only allowed on the beach area between October and March, and they must be kept on a leash. 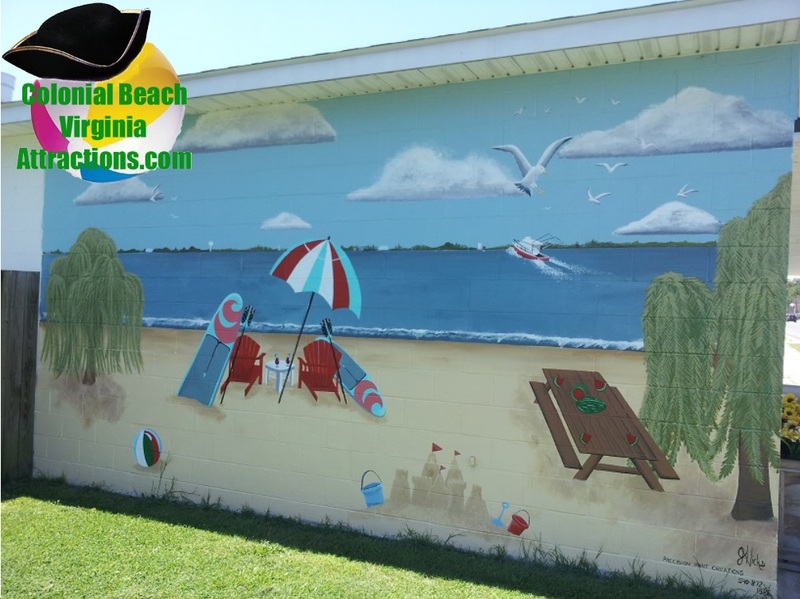 UPDATE - February 2016: The building housing the beach mural will unfortunately have to be demolished and replaced with a new precast restroom building. We will miss this delightful piece of art! The resulting Bathhouse has two beautiful murals on it. The trash can art panels have been moved and placed on the side of the snack bar building on the Boardwalk now that new benches and trash cans have been installed.